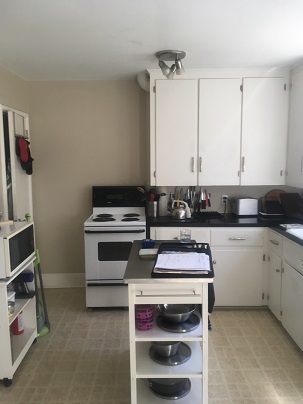 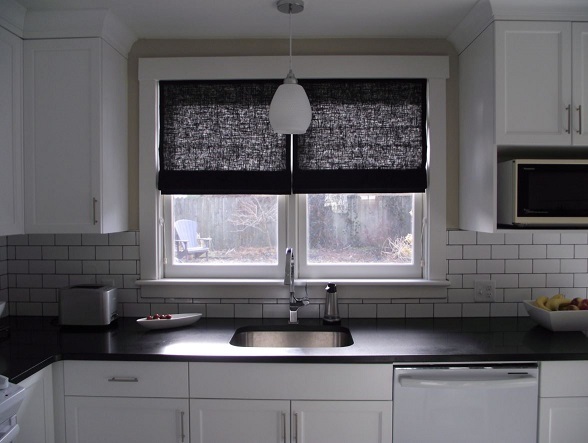 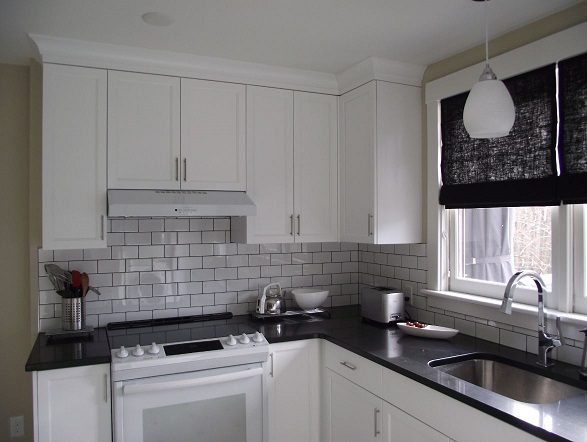 A full kitchen renovation in Halifax’s North End – We supplied and installed new cabinets, counters & flooring. 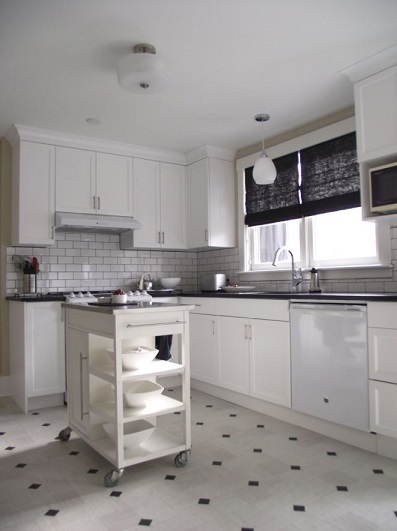 The cabinets are a combination of slab and 5 piece drawer front with crown moulding. 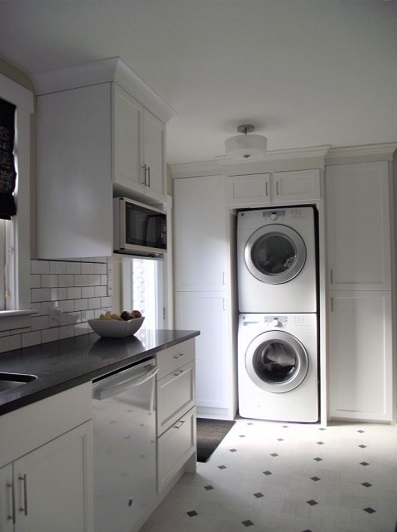 The moulding matches the built-in laundry section in the kitchen to allow this renovation to flow seamlessly. 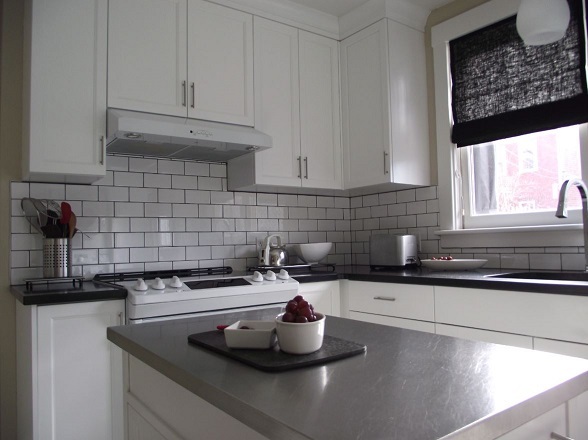 We used shakers doors and slab drawer fronts finished with transitional metal brushed nickel drawer and door pulls. 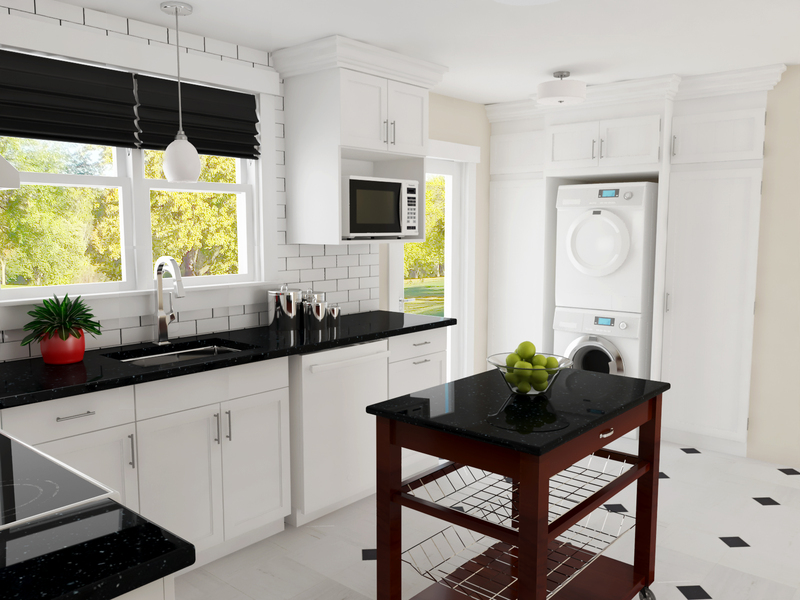 The dark Ceaserstone countertop with profiled edge and the bright white subway backsplash tile give this kitchen the perfect color contrast! 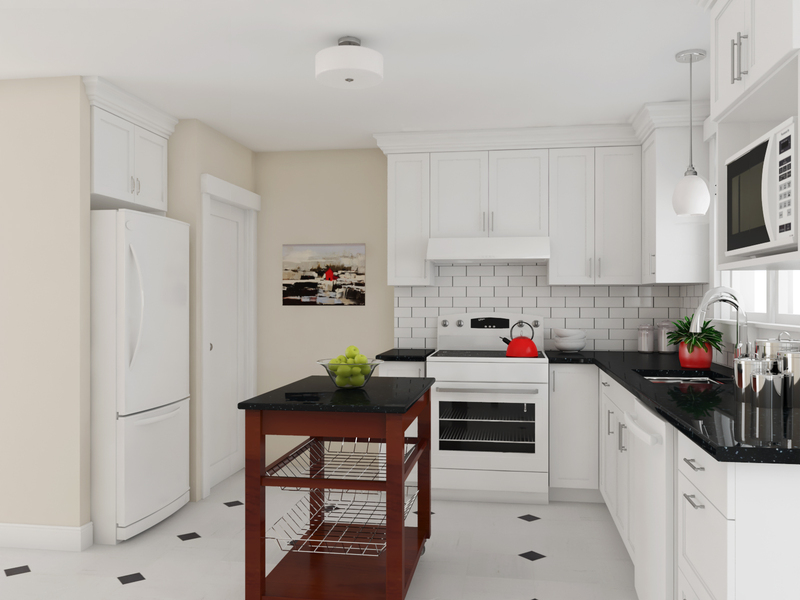 Below these final project photos we also share our design renderings and before photo of this kitchen renovation. 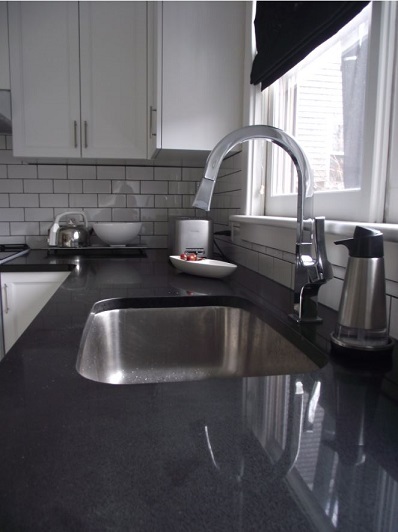 This Halifax renovation project also continued into the bathroom for this homeowner. 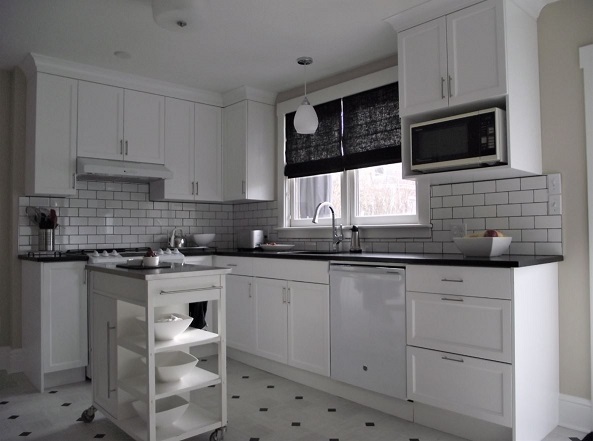 Click to view bathroom renovation project!